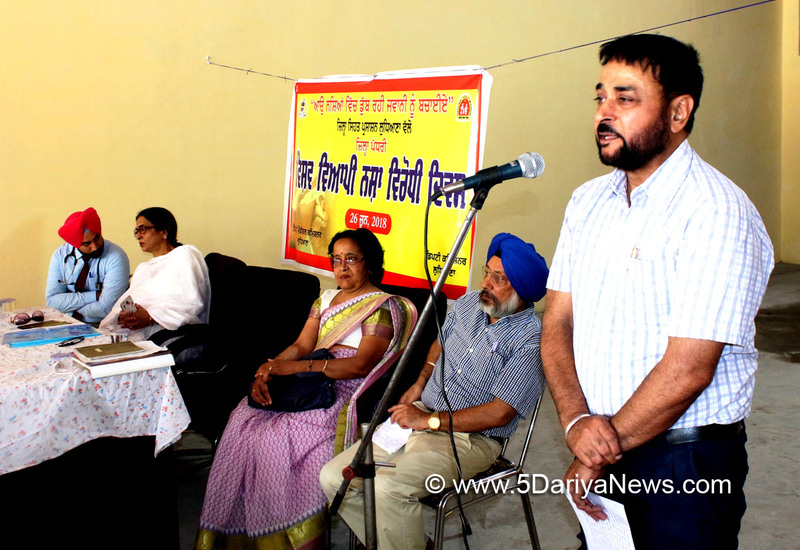 To mark International Day against Drug Abuse and Illicit Trafficking under mission Tandrust Punjab, the health department held an awareness seminar for the truck drivers, one of the most vulnerable group, in Transport Nagar on Tuesday.Civil Surgeon Dr. Parvinder Pal Singh Sidhu was the chief guest of the seminar. Deputy Medical Commissioner (DMC) Beant Kaur, Dr. SS Dhir, psychiatrist Dr. Jagjot Singh and others and hundreds of truck drivers were present.Dr. Sidhu explained them in detail about ill-effects of drugs and motivated them to avoid each type of drugs and lead a healthy life. He said that drugs not only affecting their personal life but also their families badly. Drugs lead to destruction only nothing else, he said and asked them to give their support in the fight against this social evil as it is our collective duty to make Punjab a drug free state.The civil surgeon told about the efforts of Punjab government including the opening of drug de-addiction and rehabilitation centres, Out Patient Opioid Assisted Treatment (OOAT) Clinics for de-addiction of drug addicts and asked them to shun the drugs.DMC Beant Kaur and psychiatrist Dr. Jagjot Singh also gave special lectures on the drug abuse and asked them for regular medical check-ups.The representatives of the truck union also welcomed the step of the health department for holding awareness seminar in the Transport Nagar.The health department has also organized an exhibition on drug abuse during the seminar.